Last month, 18 renowned judges participated in the annual Virginia Governor’s Cup Wine Competition, where over 500 wines were submitted by 100 Virginia wineries for evaluation. WTOP wine expert Scott Greenberg breaks down some of the top wines from the competition. Virginia’s wine industry continues to attract a lot of attention, and not just because the wine country is a beautiful place to visit, but also because there are many very good wines to sample while taking in the scenic views. And judging from the results of the Virginia Governor’s Cup Wine Competition earlier this year, there are more good wines to enjoy. Last month, 18 renowned judges participated in the annual wine competition, where over 500 wines were submitted by 100 Virginia wineries for evaluation. The wines ranged from traditional table wines to fruit-centric dessert wines and all of the wines were produced from using only fruit grown in Virginia. There were two rounds of judging. In the preliminary round, over the course of 10 days, each wine was tasted by seven judges. This is a single-blind tasting, meaning that judges only know the grape or category of a wine, but the vintage, winery and name are hidden behind coded-glasses. Individual judges’ scores of a wine are averaged into one score after the lowest score is dropped. In the final round, 12 judges assess the highest-ranking wines from the preliminary round. Each judge samples all of the final-round wines. Each wine in the final round receives a final average score after lowest is dropped. The 12 wines with the highest average score are identified as the “Governor’s Cup Case.” The wine with the highest overall score is the Governor’s Cup Winner. 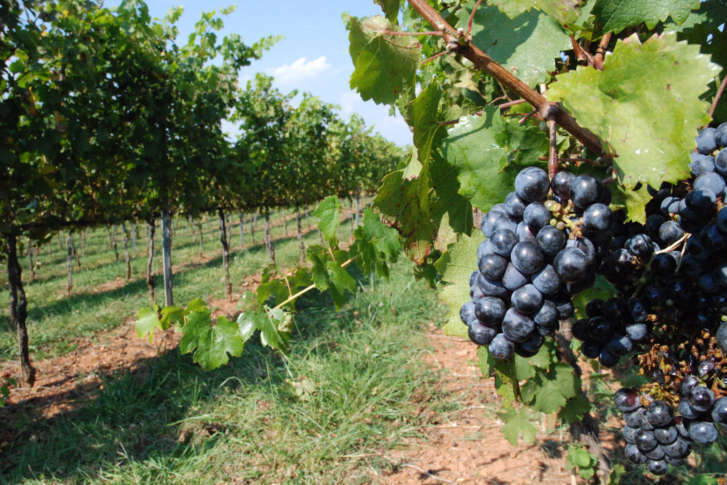 The Virginia Wineries Association, in partnership with the Virginia Wine Board and the Virginia Vineyards Association, recently announced the winners of the 2019 Governor’s Cup competition. Here are some of the top wines from the competition.